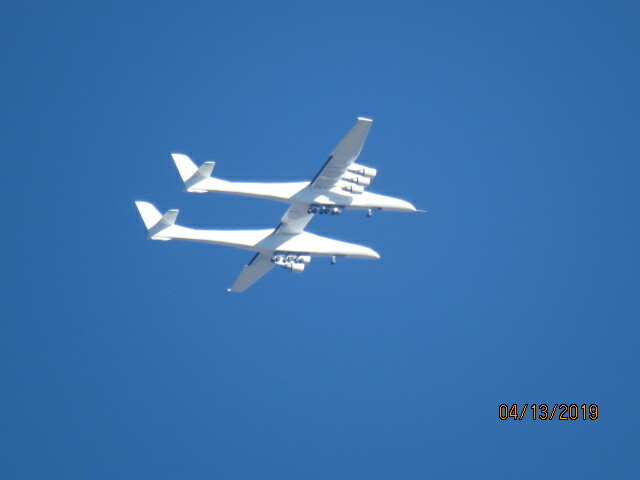 Went out to Mojave to watch first flight for Stratolaunch's Roc rocket carrier. Launched earlier than I'd been told so saw it lift above the buildings as I was just coming into Mojave. Oh well. It did make circuits back and forth between Mojave and Ridgecrest so had some decent views of it. While waiting for it to return over Mojave I visited the site of Ken Burnstein's P-51 "Miss Suzy Q" crash in 1976. Still a enough to be interesting, not erased yet despite its easy access. Lousy conditions for chasing in the desert right now, too much scrub grass and weeds because of the rain this season. Have to be right on top of debris to see it. Also it's just getting warm enough for the snakeys to be out and they'd be hard to see more than a few steps away. 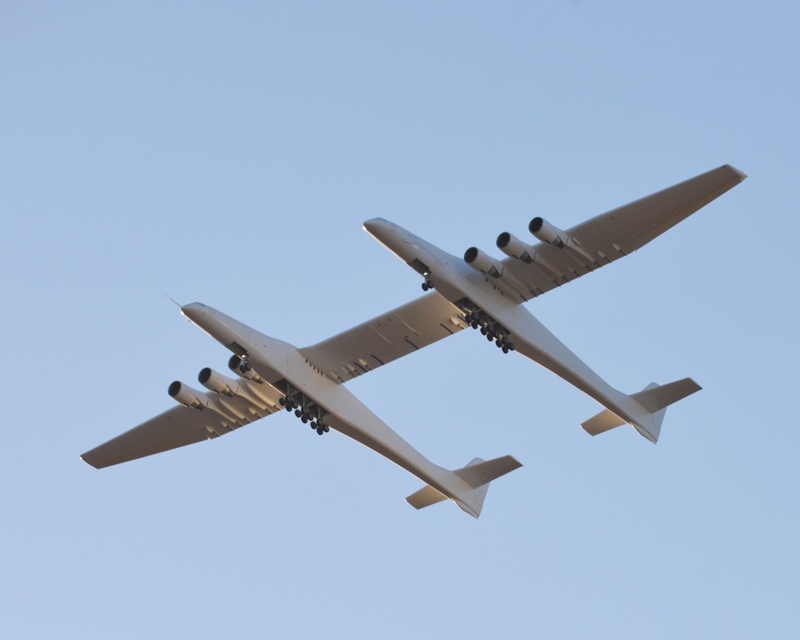 Didn't know Stratolaunch was planning on the flight today. That's a big airplane, must have looked like it was flying really slow. It's good to see that the program is still moving forward after Allen's death. I was driving to Little Lake (north of Ridgecrest) for a tour of petroglyph sites. As I was passing Mojave airport I noticed a lot of vehicles parked off the side of the highway. Whenever you see that in the Antelope Valley, it's pretty obvious that something momentous is about to happen. I pulled over and asked someone what was going on, and he said Stratolaunch was about to take off on its first flight. So, I grabbed my camera and got some pictures. Nice shot. The initial climb was much steeper than I expected but given it had no payload and probably pretty light on fuel it had plenty of power.